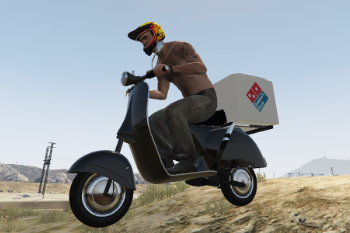 I loved the Pizza Scooter and decided that I wanted some Los Angeles-based skins for it, so here you go! Big thanks to mohaalsmeer for the model (not included in this download). 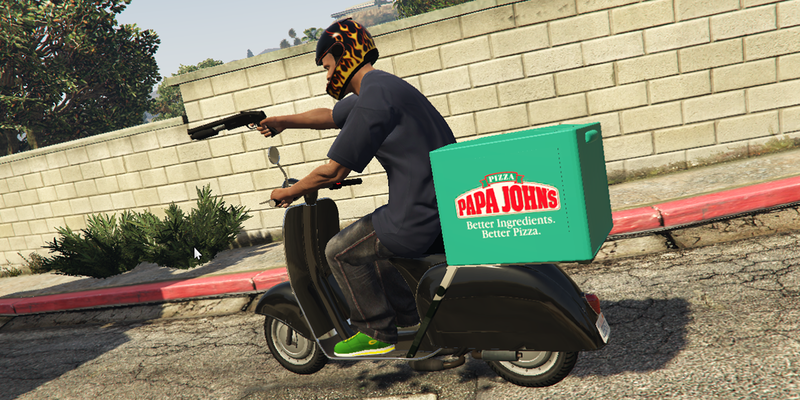 They're fictional because nobody really uses a scooter to deliver pizzas in Los Angeles, but a few are based on scooters that the chains operate elsewhere. 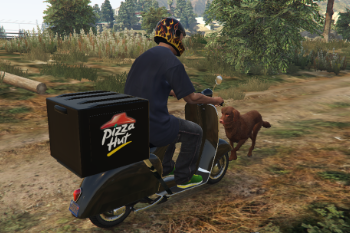 There is no faggio2, but just add it here! Feel free to edit and reupload any part of this pack. I've included the PSD source so you can edit my skins. @APW Unfortunately yes. 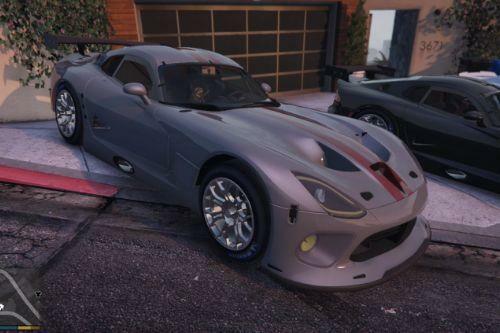 To have all of them show up in-game, @mohaalsmeer would need to update the model to support multiple liveries. 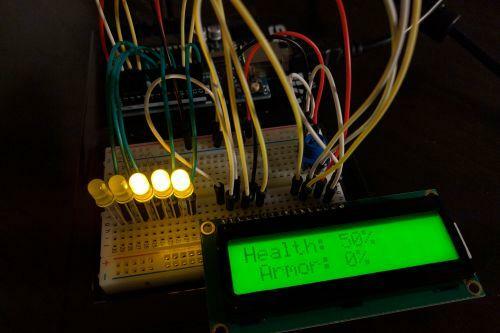 just awesome. people from LA can/would appriciate more. @rappo this one looks amazing. 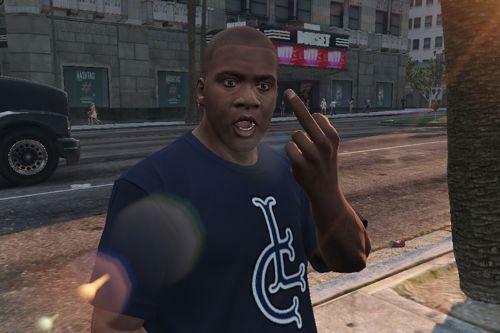 Thank you for bringing my GTAVC days back. 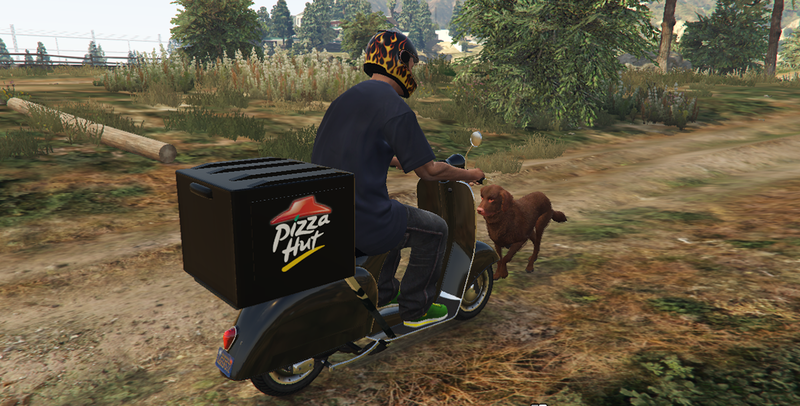 I will try for a pizza delivery script mod. Just like in GTAVC gameplay. Nice. 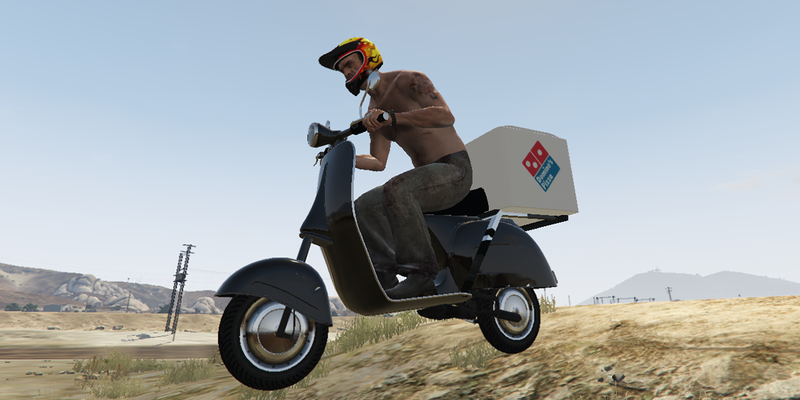 Maybe we should get @jedijosh920 to do a Pizza Boy mod, like in Vice City! Hell yeah! Papa bless your soul. 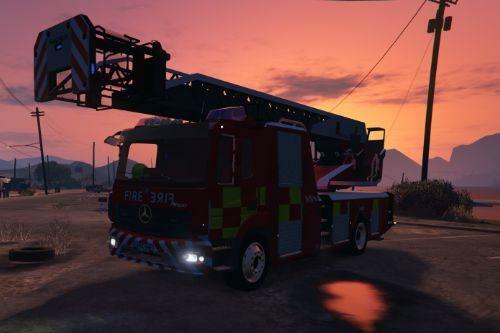 Hello @rappo I have not played GTA for ages, is it possible to delete my account? 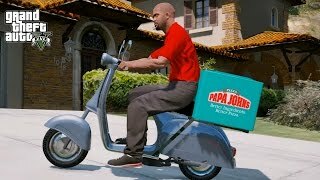 and if you look for my name then you always get results with GTA5-mods.com and I would not like that. Sorry for this bad english is not my mother tongue and i am under pressure. @rappo How to become a moderator? And is it possible to become one? I will be very happy if you answer.